Spray paint is a fun way to make old things look new! 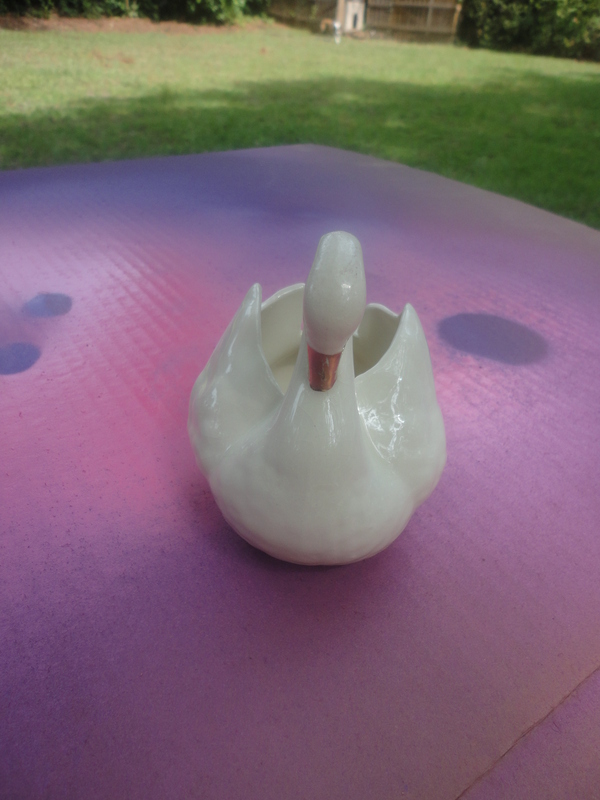 Here is a ceramic swan we bought for twenty five cents at a thrift shop. I added a coat of spray paint, a gemstone eye, and a touch of nail polish for the bill. Now it looks perfect in my bathroom. And it’s a great place to store cotton balls. Once we got started, we found other objects to transform with spray paint too. We’ll post some of those later! 1. Clean object before painting. Allow to dry. 2. Add coat of spray paint following directions on can. 3. When paint is dry, add details. 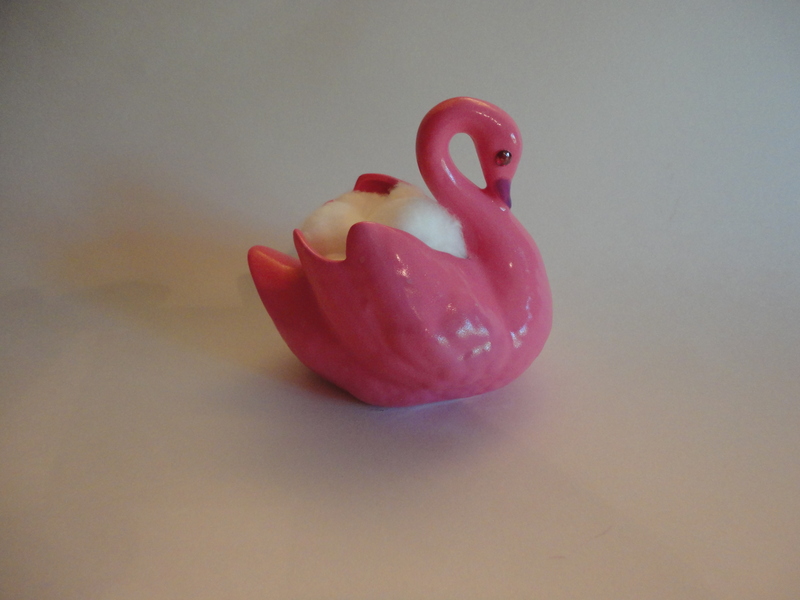 I used nail polish to paint the bill, and I glued a plastic gemstone on for the eye. 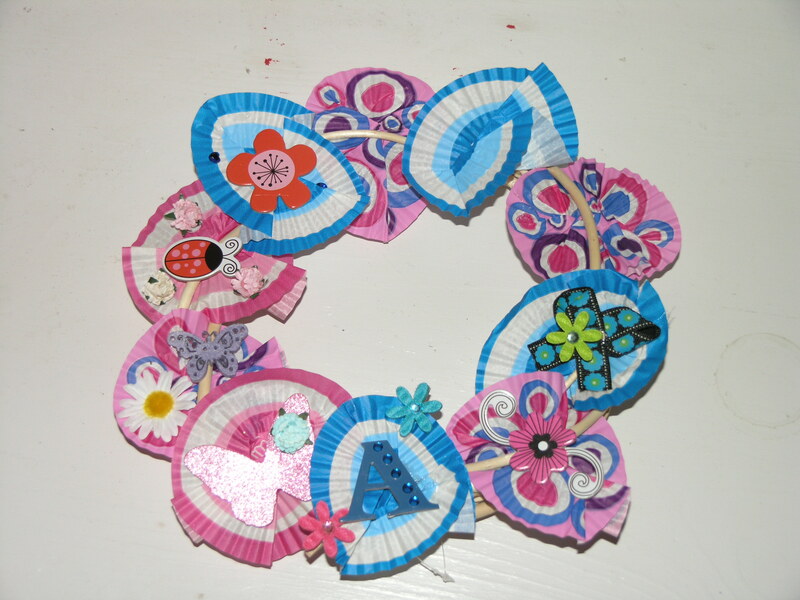 This is a fast and easy craft. An adult should help with spray painting. We used the back of my old science project board to protect other surfaces from paint. This worked great! 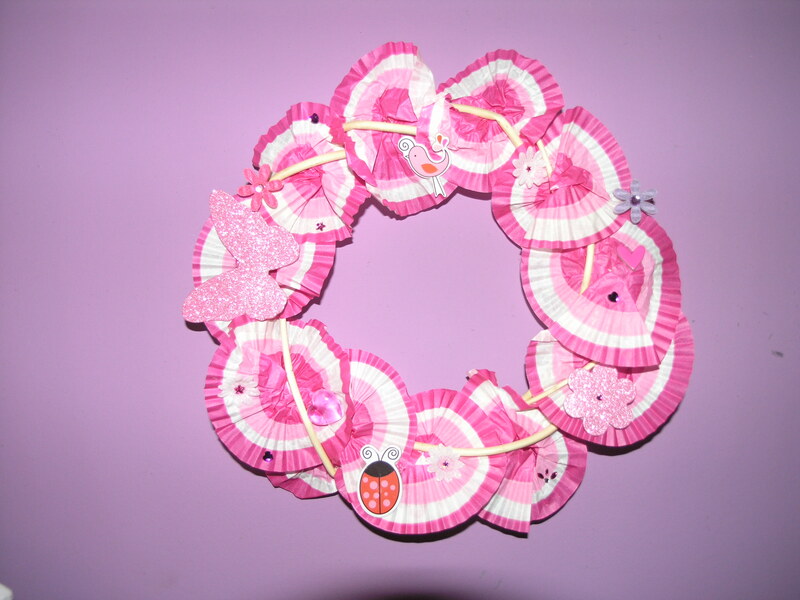 We’ve seen other versions of the Cupcake liner wreath around but this is our version. I made these with my friend Anna. They are easy to make and inexpensive. We used leftover cupcake liners and vine wreaths that we got at the Dollar Tree! 1. Fold and twist cupcake liners into desired shapes. 2. Thread liners through cracks between the vines in the vine wreaths. 4. Using hot glue (with adult help) glue on embellishments. These can be cute for any occasion. We have other ideas in mind too!